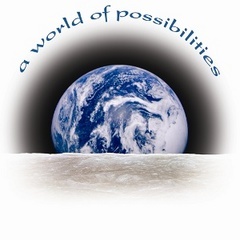 A World of Possibilities is an award-winning nationally and internationally syndicated public affairs radio program produced by Connexus Communications and hosted by explorer, author, and storyteller Mark Sommer. A World of Possibilities ceased weekly international broadcasts on December 31, 2011. Dozens of the best past programs, all as fresh and relevant as when they were first produced, remain available worldwide to both stations and individuals for streaming via PRX. Stations that are paid members of PRX may also download and rebroadcast any shows in the archive whenever they choose. We invite you to browse this archive and tune in to part or all of any program that interests you. In addition, in the coming months and years we will post new conversations for your listening pleasure. Since these will not be formatted for radio broadcast, you'll get the chance to listen to entire unedited conversations in their original spontaneity as they wind their way like rivers to the sea. Or you'll be able to sample them here and there as you choose, dipping in to taste the waters. A World of Possibilities hasn't gone away. It's just taking new forms to better convey compelling stories of resilience and renewal that have always been its signature style. Join us as we explore the American electoral process as it comes under question as never before. Bedrock conservatives in the last of America's still-wild West are shifting their political allegiances. Can we immunize ourselves against the virus of fear and does this fear threaten us far more than the terrorists ever could on their own?